Interesting views in the news from Sir Pat Stanton as always. Gentleman Pat is always worth listening to. 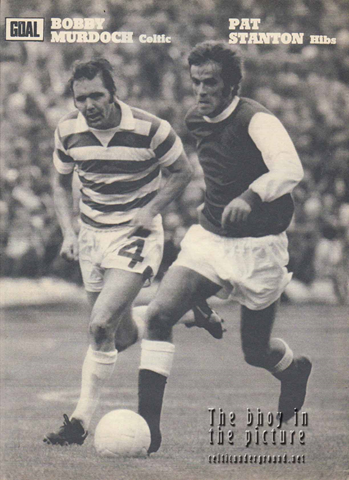 If only Hibernian Football Club had a few with his attitude now, let alone a modicum of his sublime, God-given ability. Playing on over six-hundred occasions for Hibs, one might state that Pat is allowed to say exactly what he likes about his beloved Hibs. Unfailingly however, he appraises the situation at Easter Road in a polite but assertive way, full of wisdom and know-how. No wonder we call him ‘Saint Patrick’. In the following article in The Scotsman, the subject matter is outwardly regarding Hibs’ impressive training facility at East Mains, a complex I’ve had the pleasure of looking around. Read on though to gather some illuminating general views from The Quiet Man, former captain and leader of the famous old Leith club. As I sit here and write with an MHHM deadline looming – a deadline I thought I’d never witness again – I’m attempting to comprehend the enormity of the historic occasion that approaches. 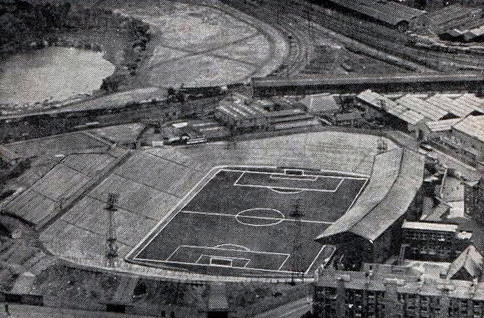 The unimaginable has happened and we are (somewhat improbably) pitched against our oldest and most bitter rivals at Hampden Park in search of the Holy Grail of the Scottish Cup. You really ‘couldn’t make it up’ as they say. The second semi-final day was a curious affair for me as I’d disappeared for the day out for a country walk, convinced that Celtic would do the needful and go on to meet Hibs in the final. I really should have known that an all-Edinburgh final was in the stars and the deeply emotional feelings that washed over me as I returned home to go online and find out the result will live with me forever. As the planets slowly but surely move into line for this momentous occasion – probably the most important Hibs game of most of our lives – I’m drawn to thinking about a lifetime that led me up to this point of following Hibs. I’m sure it too is a pivotal moment in the thoughts of many other Hibees who are kind enough to read this. There were hushed tones in the quiet Musselburgh household that early winter Saturday evening. The men of the house were holding what seemed like another post-mortem. I vaguely understood it was about football and football meant Hibs. All I knew at that young age was that the colours were green and white and that it was something our family ‘did’ – without question. School days were fresh and as a little time went on, and after a barrage of pleading, I was taken to Easter Road for the very first time by my dad. Memories of the game are few but some of the sights and sounds are etched into my soul. Walking part of the way from our town, stopping to view the dry dock with the little boats lying on their side and eventually turning the corner into what will always be to me the ‘heavenly boulevard’ of Easter Road. The lines of neat yet austere tenements seeming to draw us ever nearer to the source of the excitement beyond our view. An intricacy of smaller streets and my dad and I were inside this awe-inspiring place, inhabited by members of our family for generations. A small boy, I was in turns astounded, frightened and full of wonder at what surrounded me. A huge crowd, an even larger imposing terrace and a crackling of noise and anticipation filled my eyes and ears. We steadily picked our way to near the very top, me probably with my mouth open all the way. The smell of cigarettes, the laughter and banter, the tones of a distinctive dialect that is still in my head, wherever I may be. Giddily peering down at the emerald green sward, yes, from my daddy’s brawny shoulders, I saw this phenomenon and cornerstone of my life for the very first time as the Hibernian players ran out to a huge cheer. There was never any going back. ‘This is what our family do son and this is where you belong’. The men in the beautiful green shirts with their smart white sleeves weaved their pretty patterns for us and I watched, enthralled. Time moved on and so did our family, to the country of my mother’s birth. I was uploaded onto maternal uncles in a bid to quench my new-found thirst for football at the two Nottingham grounds. The men from the City Ground were exactly ninety places above Notts County who were in their annual bid to avoid the re-election process at the bottom end of the Football League. This family favoured the Magpies, the glamour club of the previous decade, the 1950s and imperious and idolised England spearhead Tommy Lawton but I was nonetheless introduced to both the red and the black and white sides of the Trent. Something wasn’t quite right with my football world though. Great excitement was forming on the south side of the River Trent and a dashing, brave and lightening quick centre forward was plying his trade in the Garibaldi Red number nine jersey. 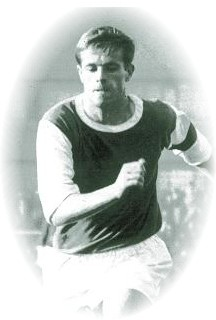 Former Hibs forward Joe Baker was leading the charge for the old First Division Championship for the provincial club against the might of Manchester United’s Best, Law and Charlton. History tells us that ‘The Baker Boy’ and his teammates or ‘Zigger Zagger’ as he was fondly known in Nottingham, narrowly failed in their quest. I didn’t care however; I had my own personal Hibs Hero playing just five miles away from our front door and I adored him. I still do. Visits to the family ‘back home’ would be frequent and it was at these times I began to understand what I missed. A sunny early autumn stay back in Portobello, ‘Good Day Sunshine’ by The Beatles playing thinly on a nearby transistor radio and days back playing on the beach until the water finally, inexorably rolled in again for the day. Then, inevitably, back to Nottingham. It seems a little forlorn these days to say but my main contact in keeping Hibs and in some ways Scotland, alive in my life was through The Sunday Post which was not available in our local paper shop until Monday lunchtime when I would be sent to collect it. It perhaps appears a little funny to say in 2012 but I’d read it back to front and back again, devouring the pages word for word. Of course the sports pages always came first and the report on the Hibs game was the pinnacle of that. Darker days came along after the days of the Tornados, only punctuated by the incredible signing of Georgie Best who put the beautiful team in my heart firmly in the headlines in England. We all know the well-documented ups and downs of the Belfast Boy’s chequered time in Leith but just to say ‘thanks for the memories’ Georgie. I’m so glad you were one of us for a little while. Life, relationships and jobs caught up with me, my parents passed on but still my deep feelings for Hibs and the family tradition endured, personally, privately. A grown man, I’d walk home on the dark nights after an evening out with friends quietly singing the old Hibs songs I knew to no one and sometimes in my head. In time, the younger team came along with a flow of ebullience, headed by the brash and confident talent of a young Johnny Collins. Stays back home ‘up the town’ by this time were punctuated by visits to Easter Road. In fact they were planned around them if truth be told. A lull presented itself and the man who delivered me from the doldrums was Franck Sauzee. On first sight I really couldn’t take my eyes off the dominating quality of the great Frenchman who strolled around in the green and white adorned with a pair of black gloves, pinging 60-yard passes onto teammates’ toes. Thank you Franck, you brought me back from the wilderness. Of course by now the internet was making huge inroads into my relationship with Hibs. As a distant fan I could now keep much more in touch with my team and the people who surrounded it. First internet search: ‘Hibs’. First attempted download: a Hibs goal (which I gave up on after 45 minutes!) much more than this though it gave me some of the best friends of my life, back home as my relationship with Edinburgh happily travelled full circle, back into the fold of my own people. As I sit here and write, my most recent emotions were over friends trying their very best to find me a gold dust ticket for our date with destiny on May 19th. Having all but given up any hope I was resigned to coming back to Edinburgh and travelling through to Hampden with the idea of standing listening from outside the stadium’s walls. I just wanted to be near Hibs at that time – ‘where I belong’. I know that my late father would have understood. He’s in these pages, with his dad too. They’ll be at Hampden. A few days ago I received a message that brought completely unexpected news – I am to be there to witness the big day. A dear friend gained me that precious ticket to be with my team in their greatest hour. I don’t mind admitting that I shed a tear or two. ‘My tears are drying’ though thank you, thank you – beauty and kindness. I’d like to also thank all my friends back home for just being there and an especial thank you to the MHHM team for their hard work and vision in providing this opportunity for a few of us ordinary fans to express ourselves. The hour approaches. To my fellow Hibernians – ‘I will be with you’. I’ll end by repeating something I wrote a few years ago. It still holds true and always will. ‘It still remains a love like no other. I can’t ever imagine Hibs not being a cornerstone of everything I stand for and come from’. Welcome to a short history of Hibernian Football Club, the Green and White side of the Edinburgh professional football scene. ‘The Hibees’ play at Easter Road Stadium in Leith and have a proud, honourable and intriguing history stretching all the way back to 1875! Hibernian Football Club has been part of the fabric and culture of Scotland’s capital since it’s early inception. The club’s name is most usually abbreviated to ‘Hibs’ by fans and media alike. The club sports an impressive 17,500 seat facility in Easter Road Stadium where they play their home games. 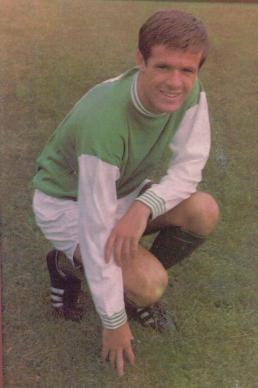 Hibs have traditionally played in green and white strips since their formation, a pointer back to the Irish origins of the club. These origins emanate and embrace Irish emigration into Scotland and its capital during the dark days of the Irish potato famine when many were displaced into the country and further afield around the world. The club badge has had several incarnations and it’s most recent one refers inclusively back to history and to the geographical placing of the organisation in its emblem of the Irish Harp, the castle depicting Edinburgh’s garrison and the ship signifying the port of Leith, respectively. The club enjoys something of a high-profile fan base amongst its regular faithful fans. Notably, author Irvine Welsh has featured the club in his novels on many a memorable occasion, even hitting celluloid in the case of Trainspotting. 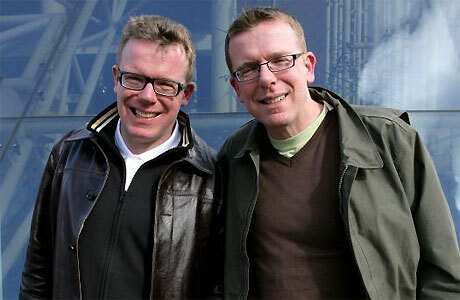 Singing duo The Proclaimers contributed a modern-day and much-loved theme to the Easter Road terraces in their emotional ballad Sunshine on Leith. Further regular literary mentions also abound in Ian Rankin’s Inspector Rebus stories in which his assistant is depicted as a ‘Hibby’.